Popular Indian singer Kailash Kher enthralled thousands at jam-packed Jakarta Convention Center in Jakarta, when Prime Minister Narendra Modi addressed the Indian Diaspora and friends of India in Indonesia at the community reception hosted in his honor. 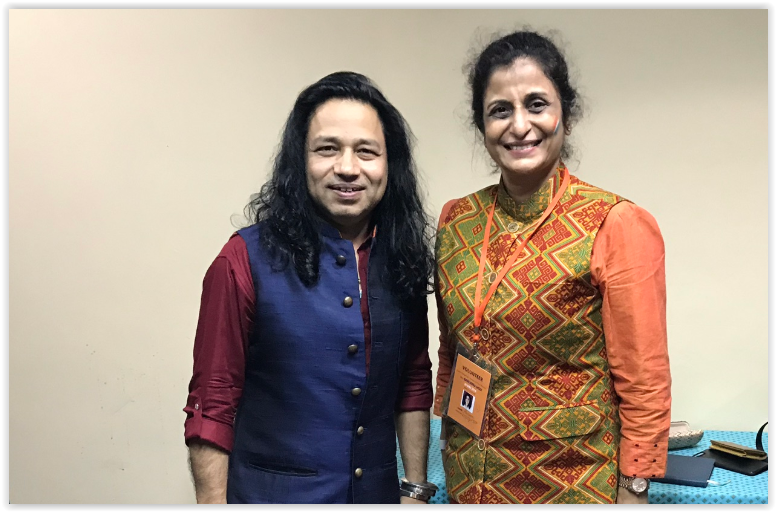 Kailash Kher has carved a special niche for himself in the music world by specializing in the classical Sufi tradition. His voice is unique and very different from any other contemporary singers. ‘Different can be difficult’ shared Kher during the interview. He has sung over 1500 songs and today Kher and his band, Kailasa, are always in much demand. The sufi singer, 45, is one of the brand ambassadors nominated by Modi for his Clean India campaign. Having sung over 5,000 songs for Bollywood, the “Teri Deewani” hitmaker and has his band Kailasa have performed in more than 1000 concerts globally over the years. He has been honored with the Padma Shri award in 2017 by the Government of India. 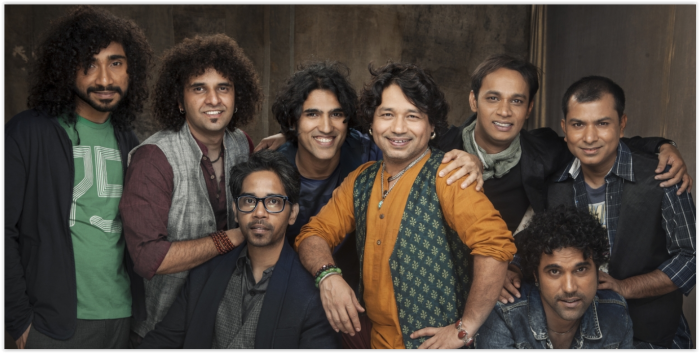 His band, Kailasa, with the two prominent brothers Naresh and Paresh Kamath provides a unique sound with their modern influences and Kher’s earthy and folk mysticism. Kailash Kher shot to fame in 2004 with the song Allah Ke Bande. But the route to success was fraught with many challenges. Kher has a childlike quality and enthusiasm. He definitely packs a huge voice in his short stature. He kept the audience mermerised with his engertic performance while wearing his sparking blue shoes which had a green LED soles. In his conversation he shares that life has taught him not be scared of adversity, as it brings one in touch with their inner goodness and spirituality. While one is happy and content he is ‘hosh mein behosh’ or unaware. Maybe this is why he is such a soulful Sufi singer. Kher compares PM Narendra Modi to Mughal emperor Akbar, and himself to one of the ‘navaratnas’ (or nine jewels) a group of nine extraordinary people who support Modi. A wonderful conversation with the amazing singer.